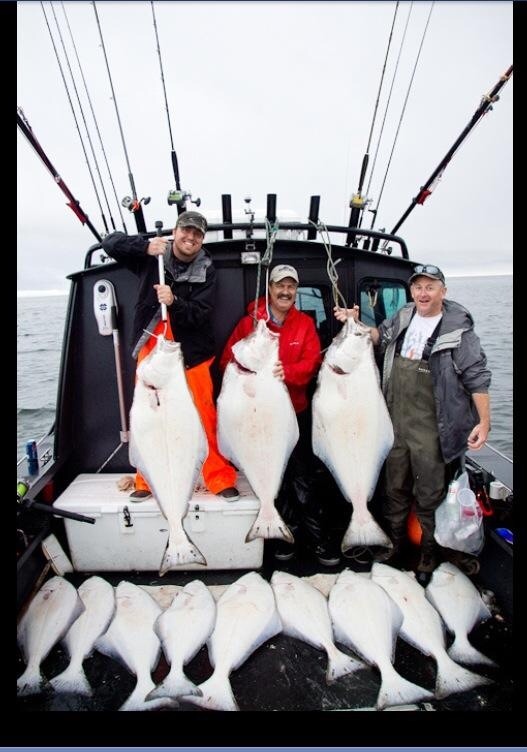 Federal Halibut regulations for 2018: 1 fish per person per day. Under 38″ or Over 80″. 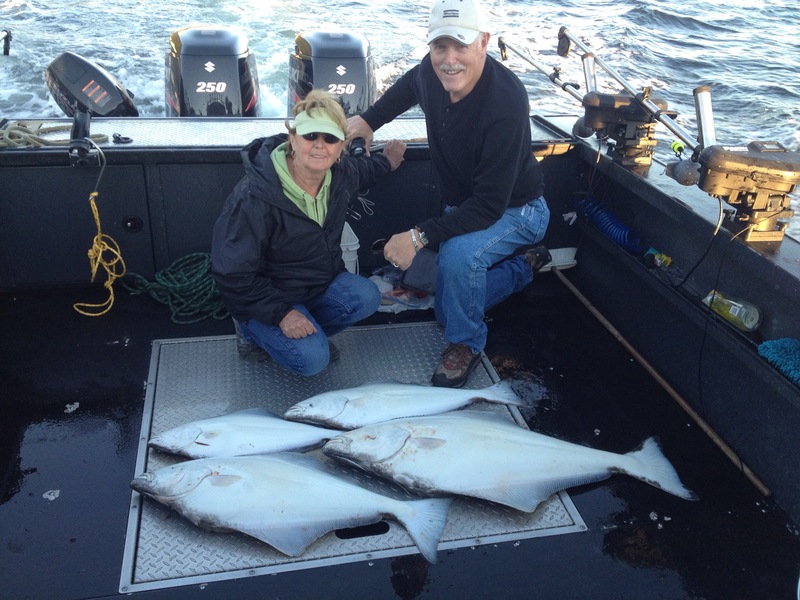 Additional or slot size fish may be retained under the GAF program at an additional charge. Please contact us for further information. 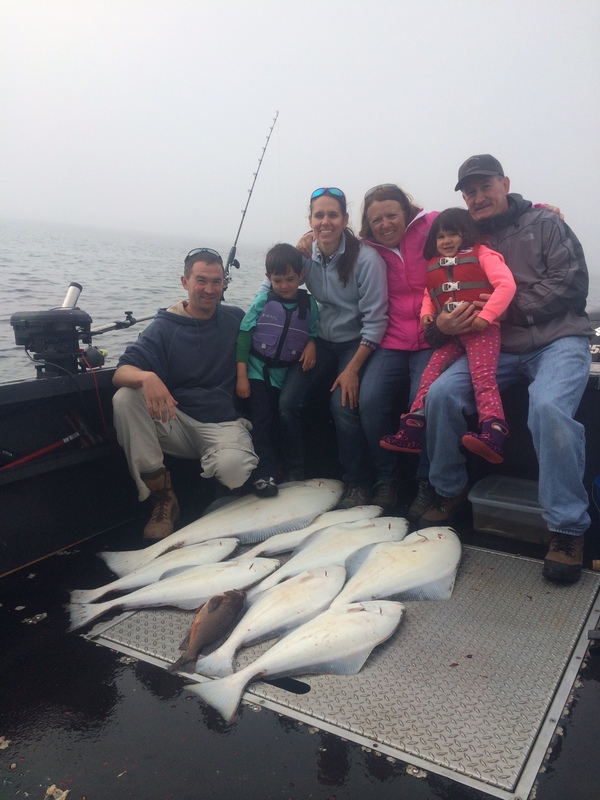 Halibut fishing in Ketchikan can be very productive. 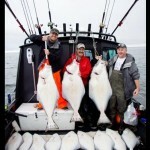 We do not have as many boats targeting halibut as Homer or Seward, AK. 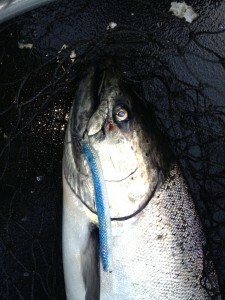 We have not overfished the near-town spots, nor do we need to run 70 miles. 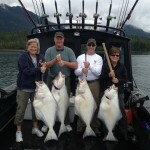 Typically we will go anywhere from 10-25 miles from Ketchikan on a halibut charter. 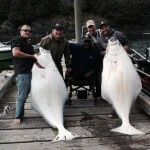 Fishing at depths up to 400 feet, these fish can really put up a battle, and on medium-light, or light gear, the fight is even more fun. 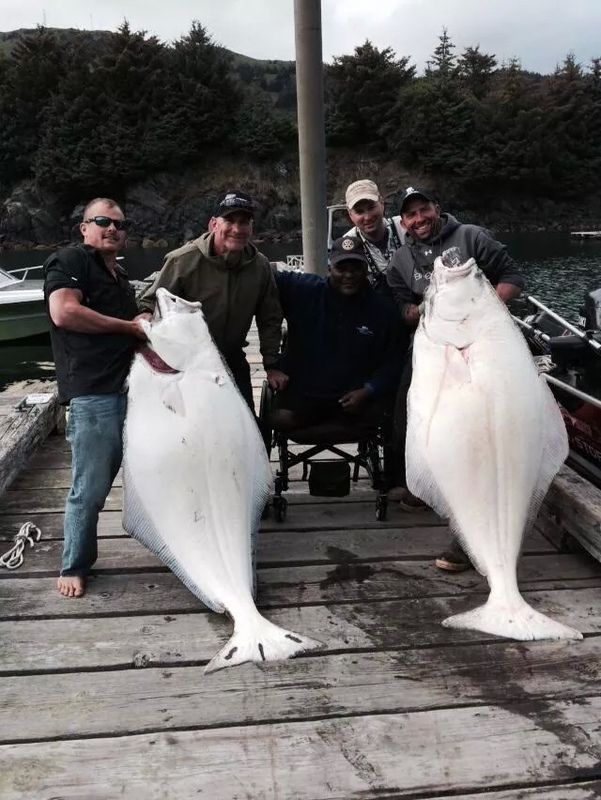 Many people have heard that halibut don’t put up much of a fight…not true. 16oz weights are at the top of our scale rather than 5 lbs used up north. 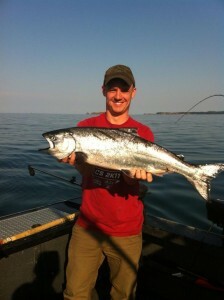 The fish fight much better on this light gear, and lighter rods. 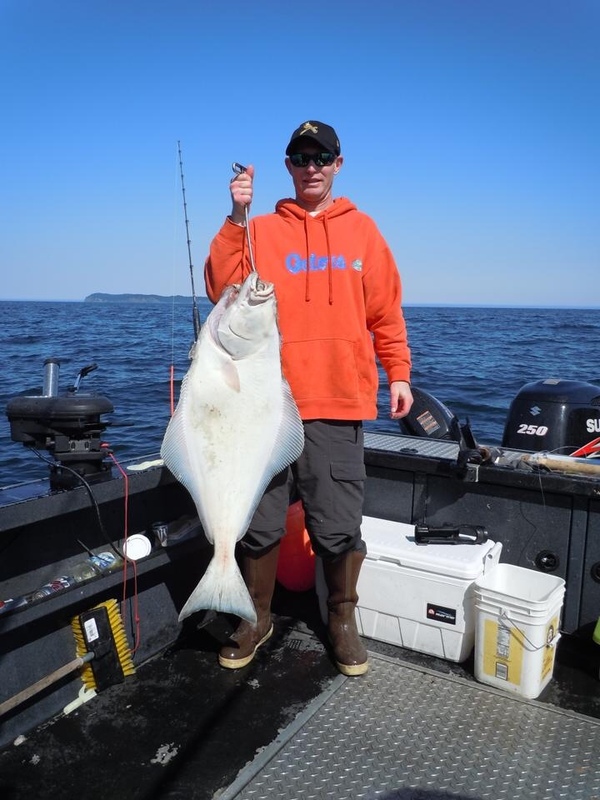 We fish halibut with bait or jigs both at anchor, or in a controlled drift known as “vertical jigging” or “backtrolling”. 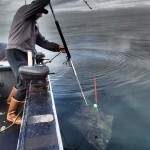 Baits and lures are worked near the bottom as halibut are flatfish. They lay on the ocean floor and with both eyes on the top, they are always looking upward. Halibut will come quite a way off the bottom to strike a bait, so there is no need to “drag” the bottom with a chance of getting hung up. 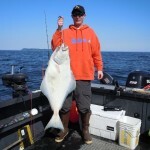 Halibut are usually found around some form of structure. 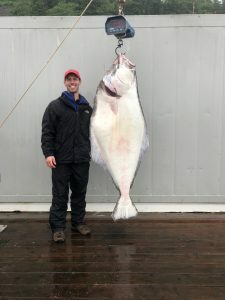 Fishing for halibut in Ketchikan, we fish boulders, underwater mountains (pinnacles), and structure breaks as where the bottom turns from coral to gravel. 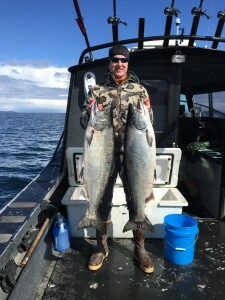 Yes, we do have coral here, and it makes a great ambush point for a hungry halibut. 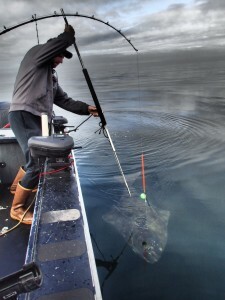 Occasionally we will also fish a vast gravel or sand flat when the fish move onto them. 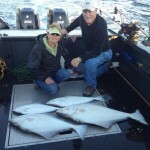 While halibut fishing, we catch a wide array of fish. 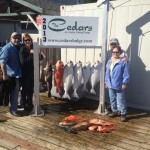 Species include Rockfish, Pacific Cod, Lingcod, Skates, and many others. 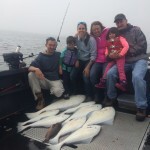 We like to run a minimum of a 6 hour charter when in search of halibut simply because they are not fished in the same area every day like salmon. 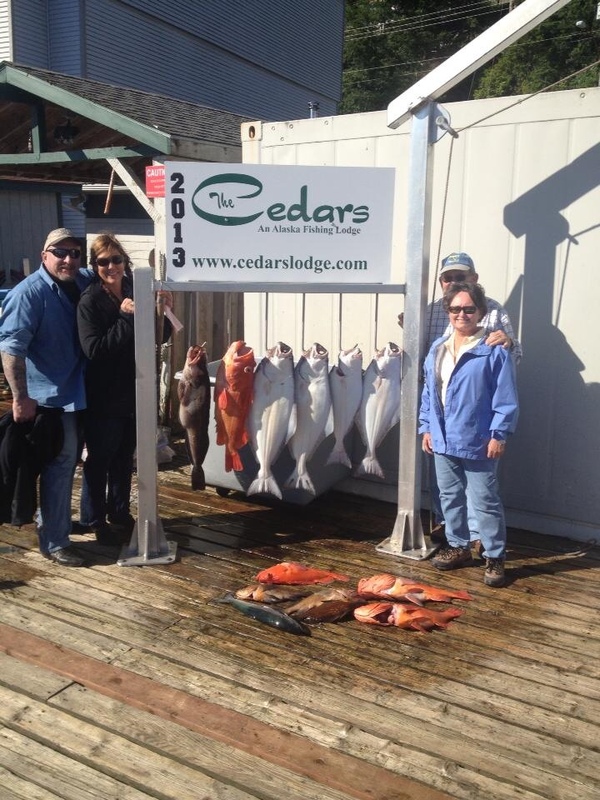 We run further from town to take you to better fishing. Some cruise ships such as the Disney Wonder are in town plenty long for this excursion. If you are arriving by cruise ship, please look at how long you have in port, and make sure it is a minimum of 7 hours. 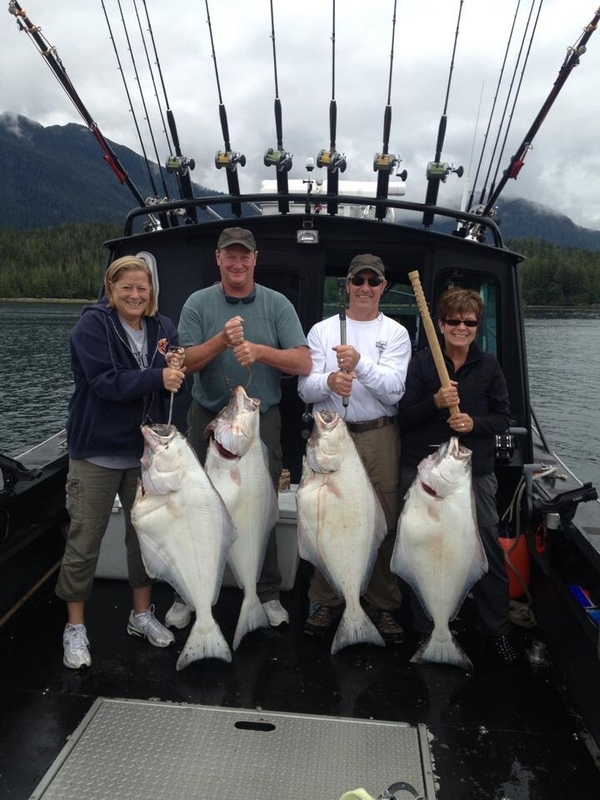 If you are interested in Ketchikan halibut fishing, contact us to reserve your date!